Three new song debuts highlight playlist #194 of the Catholic Playlist Show! Up first in the playlist is the debut of “Faithful” the newest single from Teresa Peterson. Her new EP, also titled “Faithful” is set for release on June 1, 2018 – you can pre-order here now. A couple weeks ago we debuted a new single from Taylor Tripodi (“You Heard My Name“), and now she’s released another track this week called “Awakening“. We play both of these great new songs back to back! 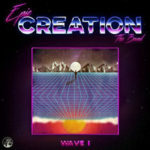 Then at the start of the second segment of the show we debut the newest effort from The Vigil Project and Greg&Lizzy, “Fire of Your Love” is a song meant to celebrate the Feast of Pentecost. Be sure to listen to the entire playlist as you’ll find songs from Out of Darkness, Sarah Hart, Matt Faley, Steve Angrisano and more. 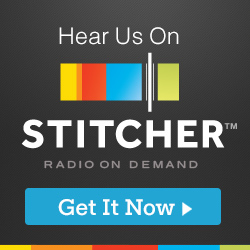 We’re back finally with a new Catholic Playlist Worship show! It’s been awhile in coming, but episode #113 offers some great music for your listening pleasure. Shaun Garrison offers a beautiful take on “Be Thou My Vision” and the amazing Collin Raye doesn’t disappoint with his version of “Ave Maria“. The St Louis Jesuits offer their classic song “Turn to Me” and Melinda Kirigin-Voss starts the show with “On Eagle’s Wings”. Other performers include Jon Sarta, The Priests, WLP Choir, Benedictines of Mary Queen of Apostles and more. Oh how time runs by. It’s been over 2(!) 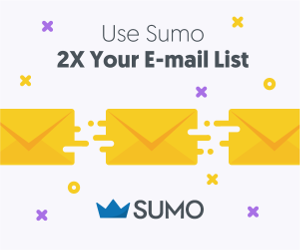 months since I lasted posted a new show here to the website and I feel terrible about it for a couple of reasons. First, the show is first and foremost a showcase of some of the best and newest contemporary Christian music from Catholic artists and if I don’t post a show they miss out on some key exposure to their target audience. Ouch. Second, the show serves a way for Christian music lovers to discover new music and artists to listen to for encouragement and inspiration. When there’s no show, there’s no discovery. Sigh. This weekend features the feast of St Patrick on Saturday, March 17, 2018, so we thought some Irish music would be appropriate for the playlist this week. This is the only time you’ll hear this music! Scythian leads off the playlist with “Fields of St James”, followed by “Jigsaw” later on. Seasons gives us “King of the Faeries” and “Dalriada/Song of Saint Patrick”, Joe Zambon offers an “Irish Jig”, and of course playlist regular Ceili Rain is in the mix with “The King & I”. While the Irish music dominates the first half of the playlist, you’ll enjoy selections from artists like The Mosleys, Audrey Assad, Ricky Vazquez and The Vigil Project. Lots of great Lent-themed music continues in this episode of Catholic Playlist Worship, our 112th episode! If you enjoy listening to choral and classical music, then this playlist will be to your liking. Two songs from Jon Sarta provide the theme music around selections from Andrea Bocelli, The Monks of Norcia, Choir of St Igantius of Loyola and Beth Nielsen Chapman. Be sure not to miss “The Litany of the Saints” beautifully presented by the Schola Cantorum of St Peter the Apostle! We’re back this week with another new show to share the joy of the Gospel through the power of music. And for the first time in quite some time, we have a new featured artist! We found out about Corrie Marie recently as her PledgeMusic campaign was winding down for her debut album. After making a pledge towards her project we were able to sample one of her songs, “Humble Host”, and we knew we had to share this talented artist with you. Look for her debut in the second segment of the show. The rest of the playlist features selections from Mathias Michael, Teresa Peterson, Rita West, Out of Darkness and others. We picked “Falling Down” from Lee Roessler to include, and we had to play “Were You There” by Dante Schmitz, one of our favorite songs for Lent. Music for the 3rd week of Lent 2018 highlights the playlist for this episode of Catholic Playlist Worship. Notable songs include “Walk Through The Valley” from Sarah Hart and “Sharing Calvary” by Danielle Rose. The Benedictines of Mary, Mother of the Eucharist (“O Sacred Head Surrounded”) and WLP Choir (“At The Cross Her Station Keeping”) offer some long standing traditional hymns for Lent. They’re joined by Michelle Romary, Voces8, L’Angelus, Marian Grace, the Monks of Norcia, and more. In Catholic Playlist Show #188 we’re pleased to introduce you to Corrie Marie, our new featured artist. We found out about Corrie Marie recently as her PledgeMusic campaign was winding down for her debut album. After making a pledge towards the project we were able to sample one of her songs, “Humble Host”, and we knew we had to share this talented artist with you. And now, she’s set to release her debut album soon, and we were lucky to get a early peek at one of those songs and it’s perfect for our playlist. Be sure to check out “Humble Host” in the second segment of Catholic Playlist Show #188! So excited about the playlist this week as we share new releases from 4 artists! New albums or EPs were just released by Audrey Assad, Sarah Hart, Luke Spehar and EPIC the Band, and we have tracks from each to share with you. 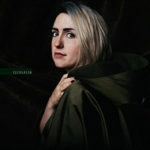 First, it’s “Wounded Healer” from Audrey Assad’s new album “Evergreen”. 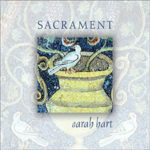 PJ Anderson teams with Sarah Hart on the single “Beloved, Arise” from her new album “Sacrament”. 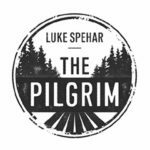 Then there’s the title track from Luke Spehar’s “The Pilgrim” and “Saved by Grace” from EPIC the Band’s “Creation – Wave I” EP, which features a riff from Connor Flanagan. Enjoy! More new music comes your way in our latest playlist! 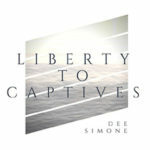 Dee Simone’s newest single “Liberty to Captives” is featured this week along with tracks from Matt Faley, Dan Francis, Aly Aleigha, Rebecca Roubion, Ben Walther and many more. Plus, we get Lent started with “Lord Have Mercy” from The Vigil Project, featuring Greg&Lizzy.